PreK-12 math teachers often rely upon worksheets and timed drills to develop math fact fluency in students. While research on the effectiveness of worksheets and timed drills varies, some research indicates that such approaches to developing fact fluency — particularly drilling for speed prematurely — can negatively affect students’ feelings toward math. 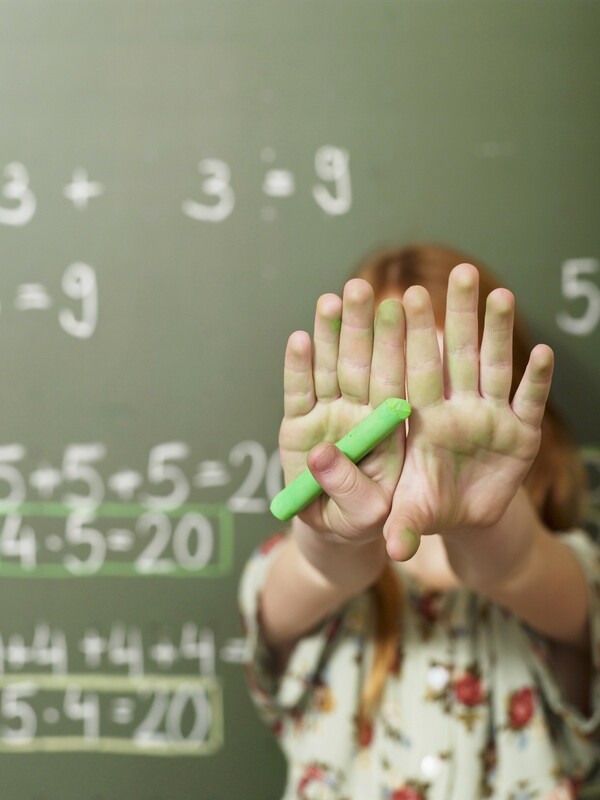 While drill, both timed and untimed, can be appropriate in certain circumstances, other approaches can foster more positive attitudes towards mathematics while also developing math fact fluency. Learning science research can help us identify those strategies and integrate them into math instruction. By harnessing what we know about how learning happens, we can design learning experiences that are not only effective in promoting positive outcomes, but also enjoyable for students. Fluency requires students to notice relationships and use strategies. It’s about the speed at which a student produces an answer, but it’s also about the methods they used to produce that answer and the flexibility they have in their thinking. However, fluency should not require rote memorization. Instead, students should either have a fact meaningfully memorized or be able to produce that fact through a highly efficient, automatically executed, strategy. A student has mastered a math fact if they can produce an answer within 3 seconds, through either recall or a highly efficient strategy application (Kling & Bay-Williams 2015). Returning to the phases of fact fluency development: it’s critical that students do not skip phases that give them the opportunity to develop reasoning skills. Explicitly teaching reasoning strategies doesn’t mean simply teaching a specific strategy and then asking students to use it to solve a problem — in that case, students may use the strategy in a rote way, without understanding why it works. Instead, explicitly teaching reasoning should involve encouraging students to develop and share efficient strategies they can use and allowing them to practice. Games provide students with the opportunity to practice these reasoning strategies and move through the developmental stages of mastering math facts at their own pace (Bay-Williams & Kling 2014). And because games are fun, students play them willingly and even on their own, thus getting much more practice than they would from worksheets. According to Kling, quizzes can have their place in a math-positive, productive formative assessment strategy — as long as they focus on efficiency and strategy use (Kling & Bay-Williams 2014). Bay-Williams, Jennifer M., and Gina Kling. “Enriching Addition and Subtraction Fact Mastery through Games.” Teaching Children Mathematics, vol. 21, no. 4, 2014, p. 238., doi:10.5951/teacchilmath.21.4.0238. Bay-Williams, Jennifer M., and Gina Kling. “Math Fact Fluency: 60+ Games and Assessment Tools to Support Learning and Retention.” ASCD and NCTM: 2019. Kling, Gina, and Jennifer M. Bay-Williams. “Assessing Basic Fact Fluency.” Teaching Children Mathematics, vol. 20, no. 8, Apr. 2014, p. 488., doi:10.5951/teacchilmath.20.8.0488. Kling, Gina, and Jennifer M. Bay-Williams. “Three Steps to Mastering Multiplication Facts.” Teaching Children Mathematics, vol. 21, no. 9, 2015, p. 548., doi:10.5951/teacchilmath.21.9.0548. Pan, Steven C. “The Interleaving Effect: Mixing It Up Boosts Learning.” Scientific American, Springer Nature America, Inc., 4 Aug. 2015, www.scientificamerican.com/article/the-interleaving-effect-mixing-it-up-boosts-learning/.